Ah, the interview process. Debatably the most dreaded experience to which humans can be exposed. In fact, an overwhelming 92% of adults report feeling anxious about job interviews. So how can you do thrive in an interview—and not just survive? Being able to “interview well” has become an art form all its own. With all the tips and tricks out there, it can be more harmful than helpful if you try to subscribe to them all. The STAR method of interviewing can help you stay on track and highlight your strengths as you answer questions. What is the STAR interview process? Hiring managers and recruiters use the interview process to learn more information about a candidate than what a résumé can provide, such as how the candidate has handled past work situations. 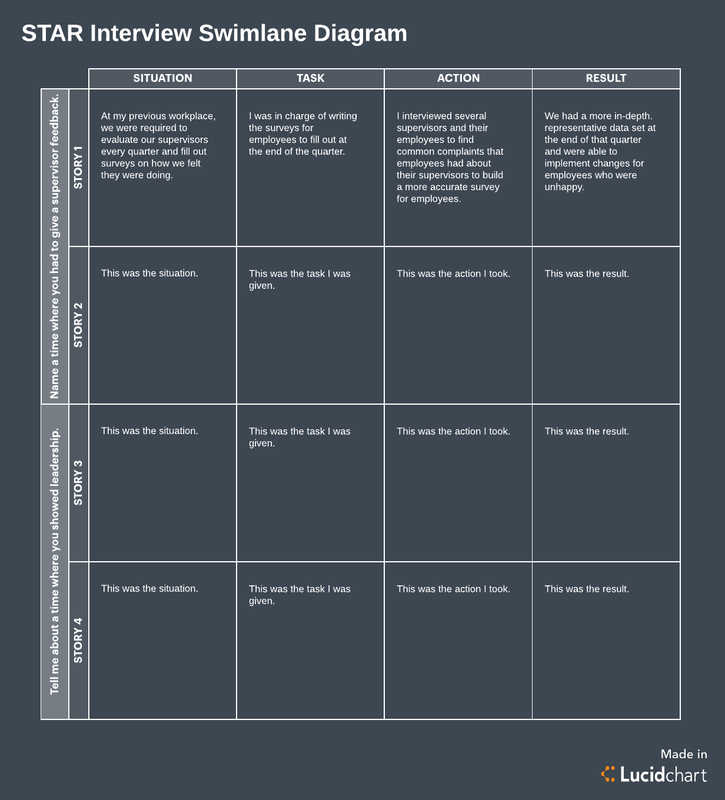 While behavioral questions are good in theory, they can be overwhelming. So how can you best navigate the landmine that is the interview process? Situation: Start out by setting the scene to your story. Choose a situation that will exhibit the behavior the interviewer wants to see, and give the interviewer the context to the situation. 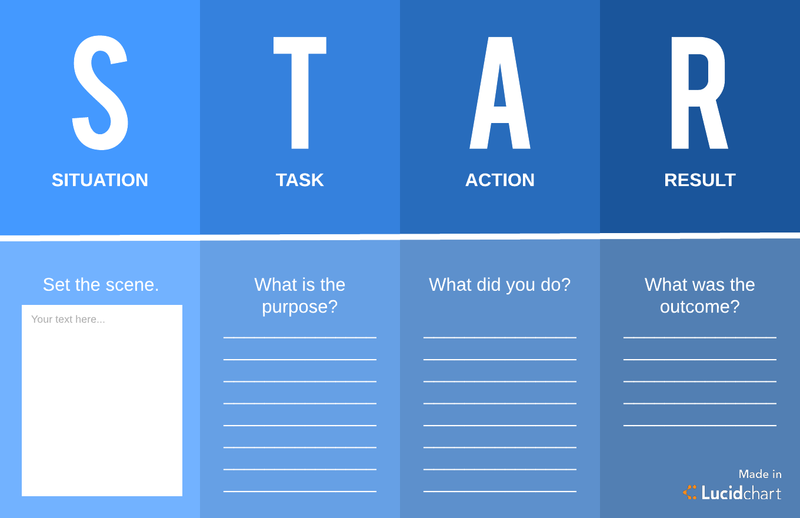 Action: What action you take to complete your task? This part of the STAR interview method allows you to speak directly to your strengths in detail and show the interviewer your thought process in accomplishing your work. Result: Explain the outcome of the situation share how your role contributed to the team and project, and expound upon what you learned individually. Tell me about a time when you felt like you failed your team. Tell me about a time when you faced a challenge or conflict at work and how you managed it. Can you think of a time when you showed leadership? Give us an example of when you felt you excelled at your job. Tell me about the accomplishment you are most proud of. Tell us about a time when you worked effectively under pressure. Give me an example of a time when you used data to solve a problem. Your answer should take from one to three minutes; anything shorter can risk not appearing thoughtful, and anything longer may lose your listener. Describe a time where you needed to influence someone’s opinion. Situation: An executive of my company presented a new process my team would need to follow. Task: I needed to train my team on the new process, but I suspected that it would be time-consuming—and, therefore, affect my team’s productivity numbers—and wouldn’t produce the results that the company wanted. I didn’t want to ruffle any feathers, however, since the executive had a lot more experience. Action: I asked my team to try the new process for two weeks. I kept track of the time the process took and the results it produced, and then I compiled those metrics with metrics from the existing process to show the executives. Result: The metrics proved the existing process to be more effective, so we kept the existing process and provided some feedback to the executive on how we could still improve the process. Something else to keep in mind when you come across STAR method interview questions is that the interviewer’s specific purpose is to ferret out particular qualities that the hiring manager wants to see in the ideal candidate. By noticing trends or patterns in the questions you’re being asked, you can gain insight into what they’re looking for. Are they asking a lot of questions about how you handle last-minute projects or how well you self-manage? You may be interviewing for a team with less organization or leadership. 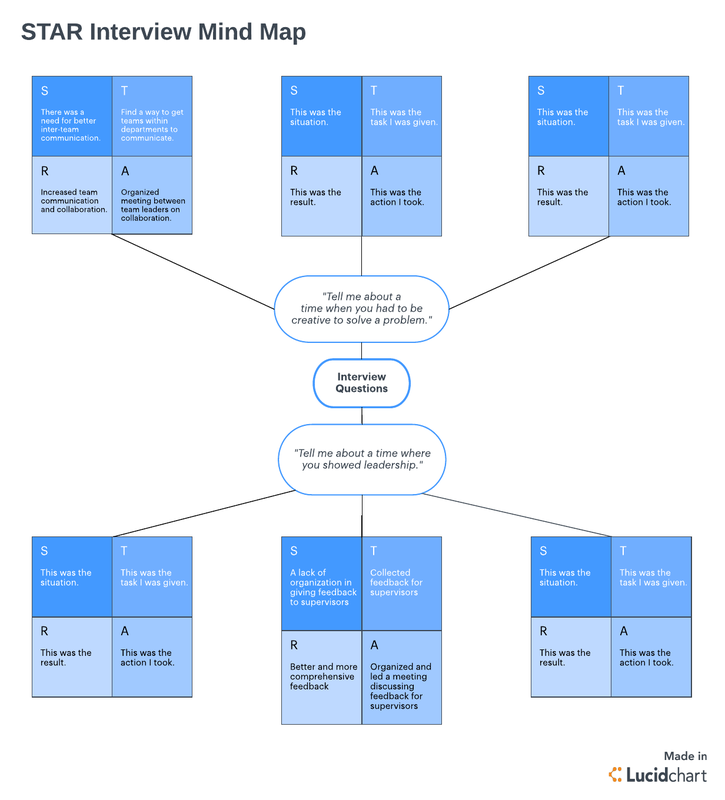 To best prepare and visualize your responses to a STAR interviewing process, use these Lucidchart templates to organize potential answers. Both swimlanes and mind maps can help you group potential stories you could use by theme. After all, the more prepared you feel for an interview, the more you can relax and be yourself, which is something companies look for in equal measure to your skills and ability to do the job. Sign up for your free Lucidchart account today to map more interview scenarios.